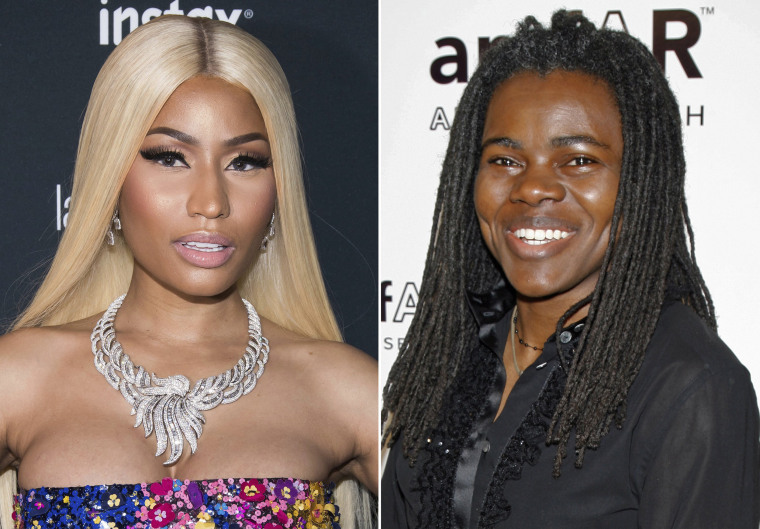 LOS ANGELES — Rapper Nicki Minaj is being sued for sampling a Tracy Chapman song without permission. Chapman filed a copyright infringement lawsuit Monday in a Los Angeles federal court. The Grammy-winning singer says Minaj's unreleased track "Sorry" incorporates the lyrics and vocal melody from her 1988 single "Baby Can I Hold You." The lawsuit states the "Fast Car" singer repeatedly denied multiple requests to sample her song for Minaj's fourth album "Queen." Minaj's representatives did not respond to emails seeking comment. "Sorry" was not included on Minaj's album but Chapman alleges the rapper gave it to a popular New York disc jockey who played the song on the radio and posted it to his social media accounts in August. Chapman is suing for unspecified damages and wants to prevent Minaj from releasing "Sorry" commercially.